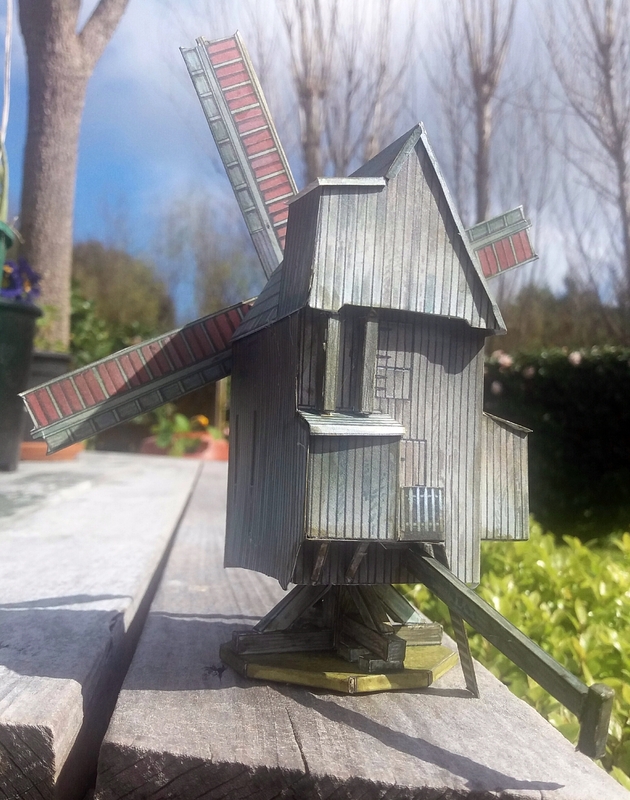 I made this complex-looking cardboard windmill in just one evening! 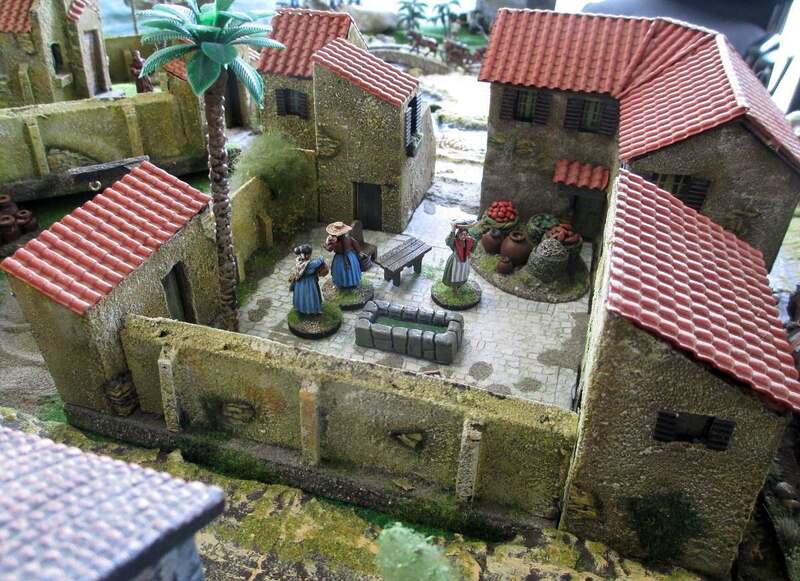 It’s a cut-out model from Helion Publishing’s latest Paperboys book, European Buildings: 28mm paper models for 18th & 19th century wargames by Florian Richter and Peter Dennis. 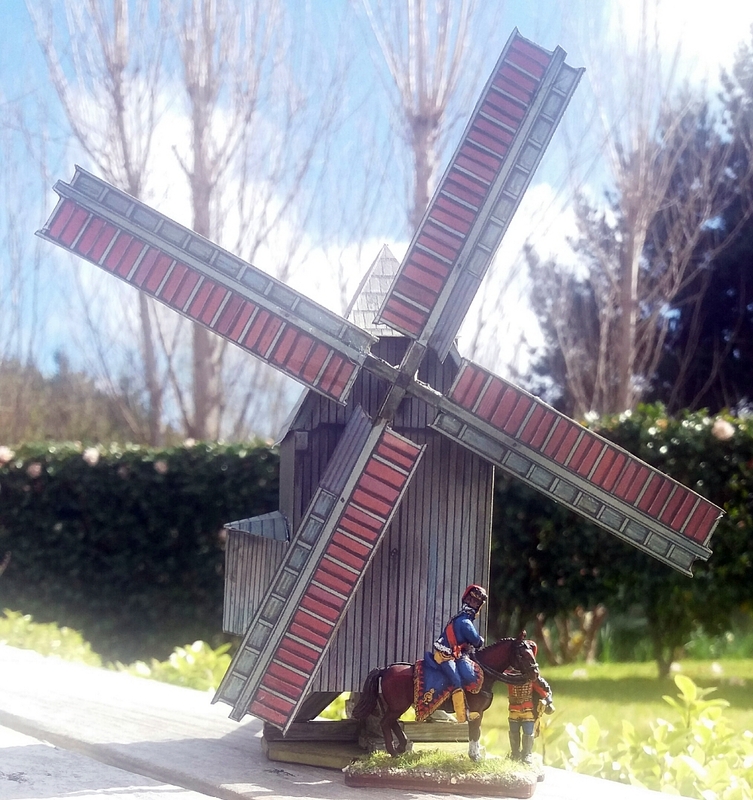 This windmill is one of the many cut-out buildings included in the book, which covers both Northern and Southern Europe settings. 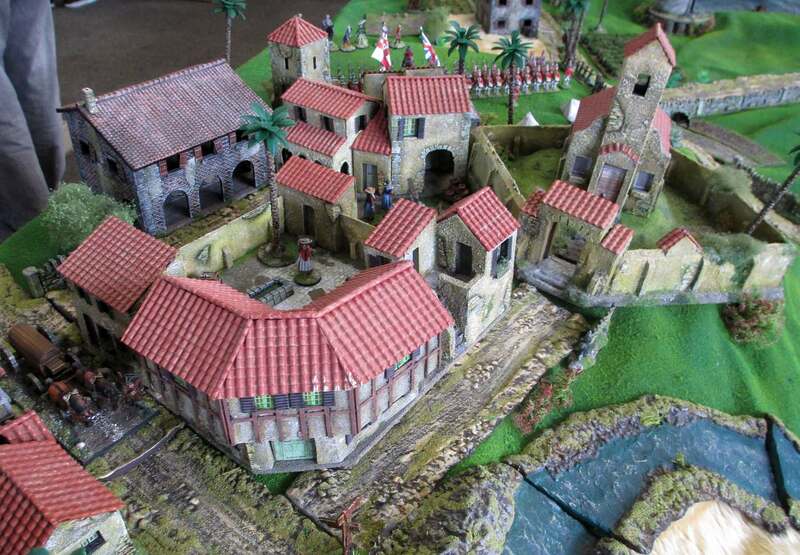 Other buildings include two churches, a mansion, a watermill, houses and farms, bridges and walls, and much more. 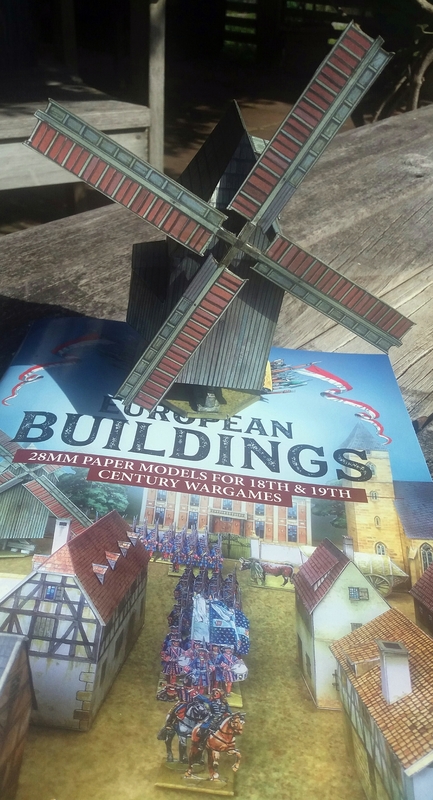 Unlike the Paperboys model soldiers I’ve made, which need to be photocopied before assembling, these buildings can be cut straight out of the book. 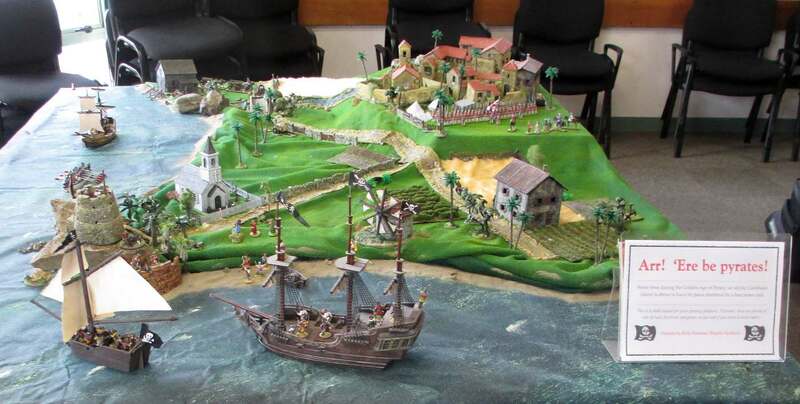 The pages are printed on light card, with only some instructions and explanatory photos on the back of each page, which (if necessary) you can simply capture with your phone camera before you start cutting out the model. 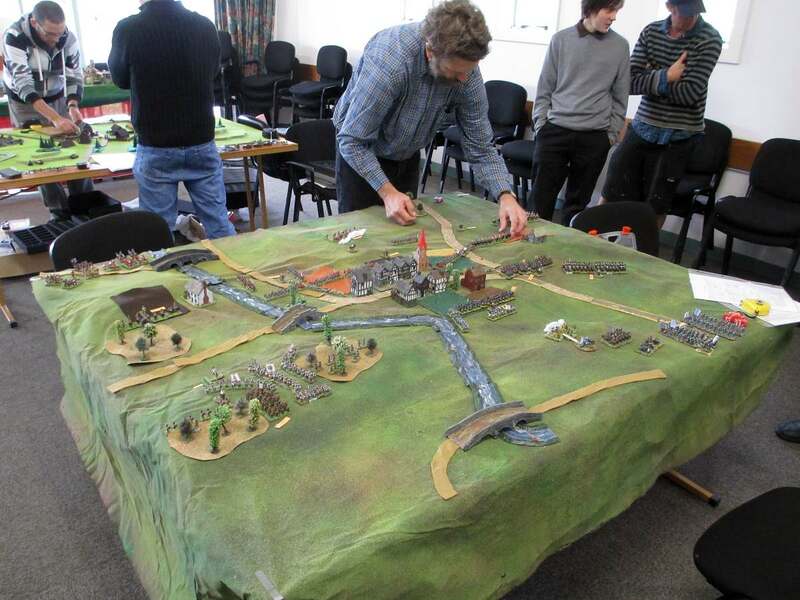 The book’s front cover also shows a column of figures from Peter Dennis’s other new Paperboys book The War of the Spanish Succession: paper soldiers for Marlborough’s campaigns in Flanders. I bought this second book too, intending to use it just as reference. 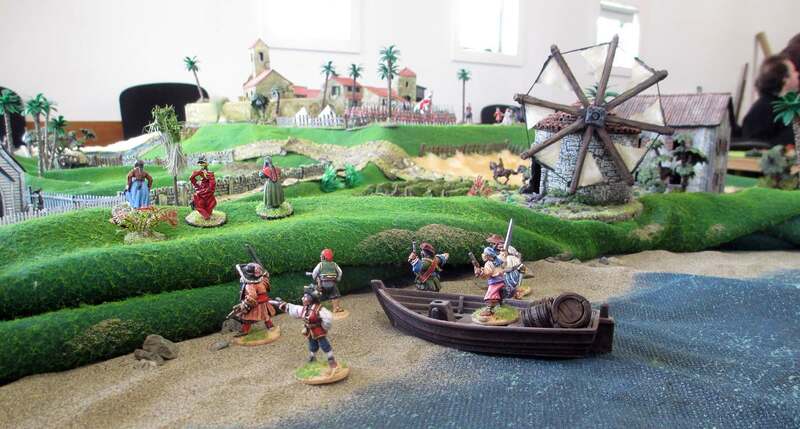 But, boy oh boy, Peter’s figures are just so colourful and eye-popping (especially the French Maison du Roi) that I don’t think I’m going to be able to resist assembling some regiments! 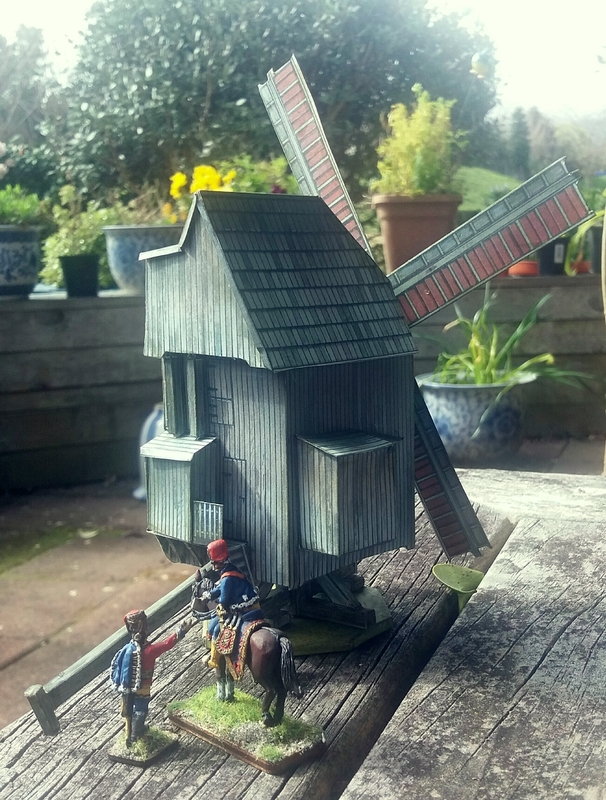 The figures shown in these pictures of my windmill aren’t paper, though – they’re from my Minden Miniatures army. 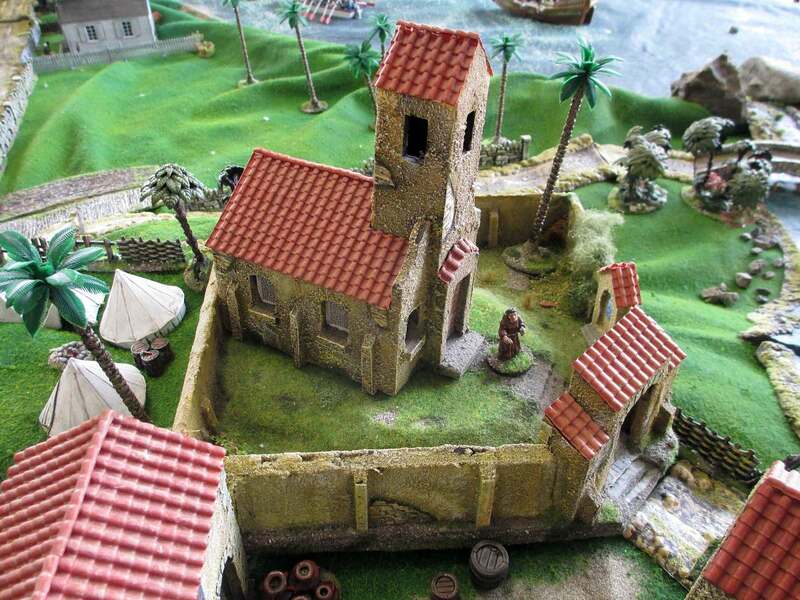 But they show how well these cardboard buildings will go with any traditional 28mm army. 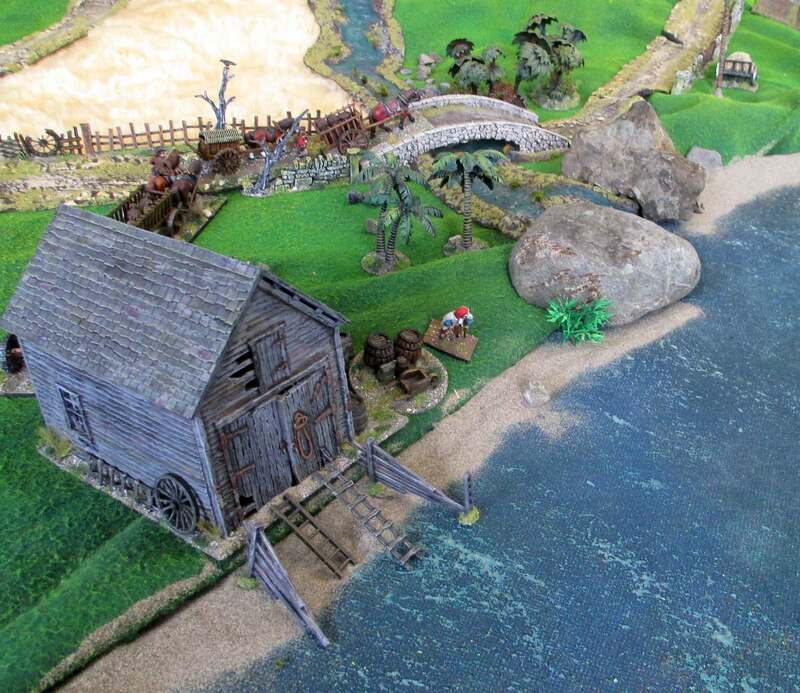 Peter’s preference is that his buildings are a little smaller than true scale so that they have a smaller footprint on the battlefield. 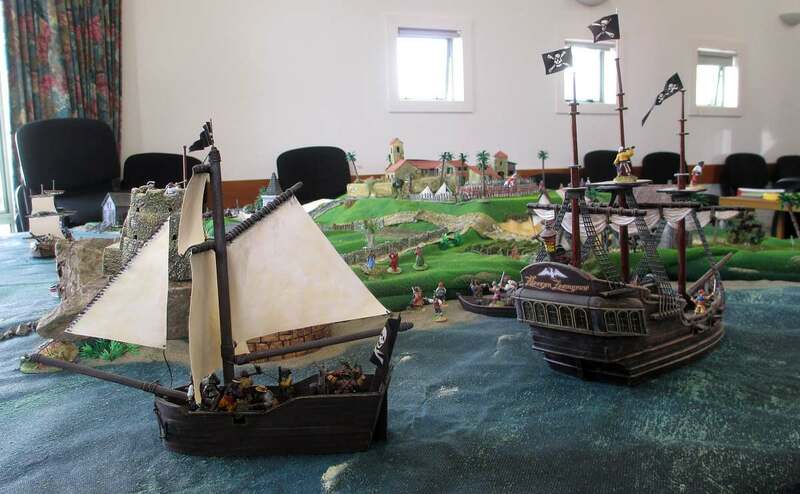 But you can easily photocopy them larger or smaller if you wish. 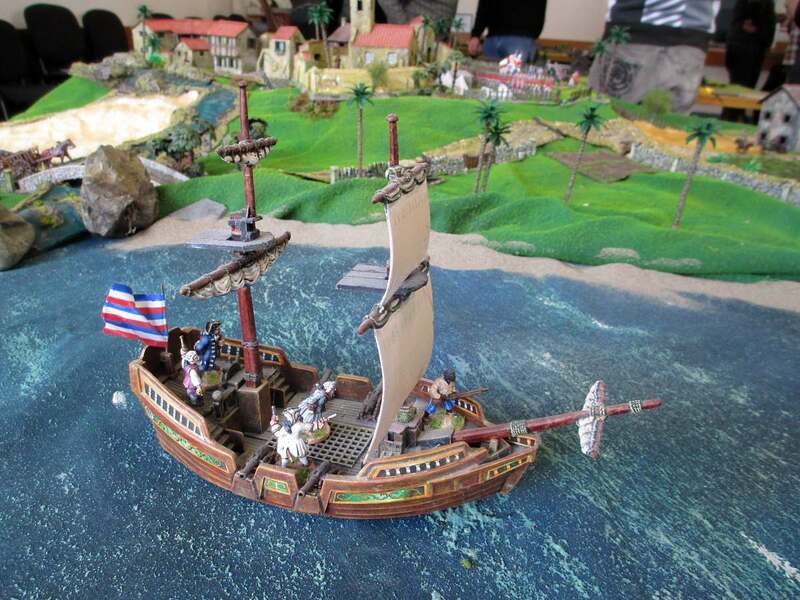 Probably the most complex part of the assembly was the beam structure on which the windmill sits. 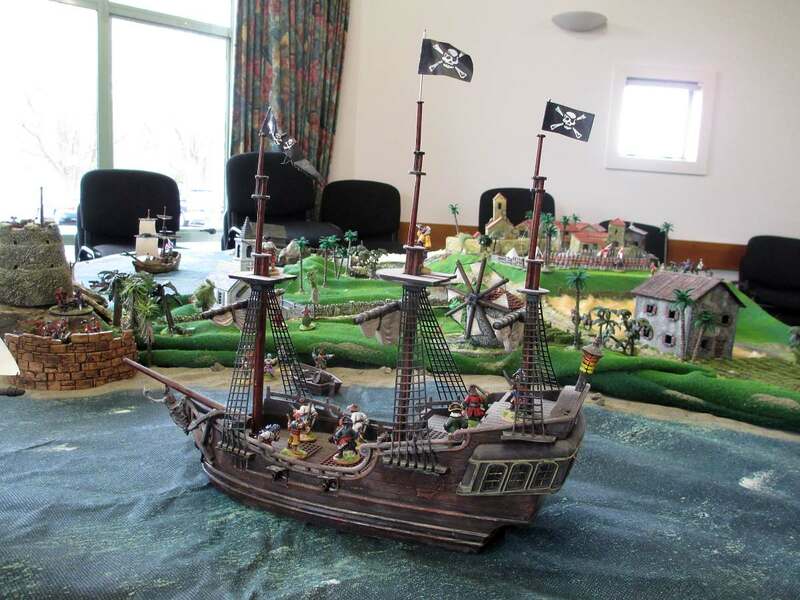 But in fact this was surprisingly simple to put together. The trick is to score all the folds first, and then use Uhu All Purpose contact glue for very fast bonding. 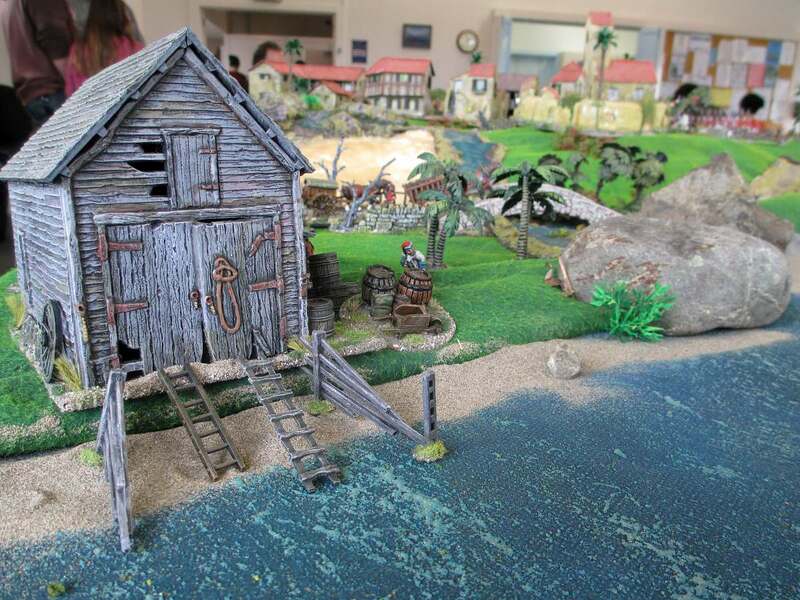 The finishing touch with any cardboard building is to use a wash (I used green wash) to disguise any white card that shows through the folds or on exposed edges. Just as vibrant and urgent as it was when it debuted in 1975, Stanley Kubrick’s Barry Lyndon is perhaps the perfect historical epic movie to be re-introduced to a brand new audience. In advance of the July 2016 re-release of the film in the UK, a new trailer has been crafted for the film, one that builds in a contemporary feel without sacrificing the film’s authenticity. 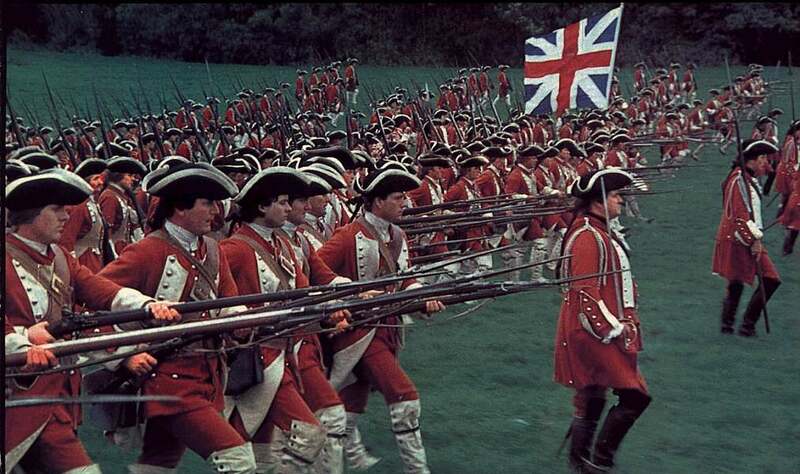 Only a cinema screen can do justice to the stunning visuals of Barry Lyndon. 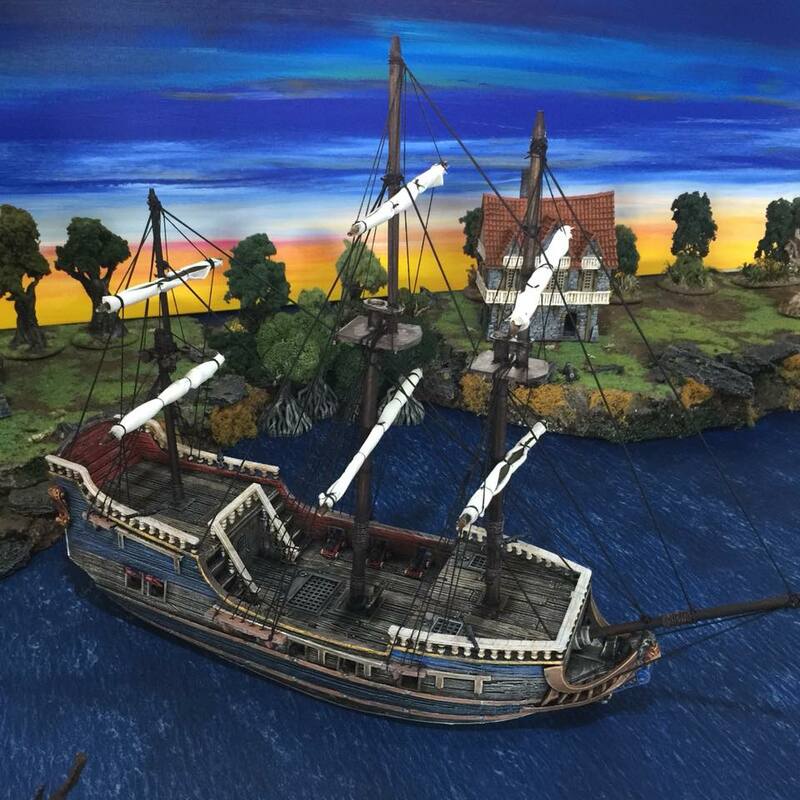 Inspired by painters such as Thomas Gainsborough and William Hogarth, the film has a beautiful, painterly look, enhanced by filming in natural or historically accurate light sources. 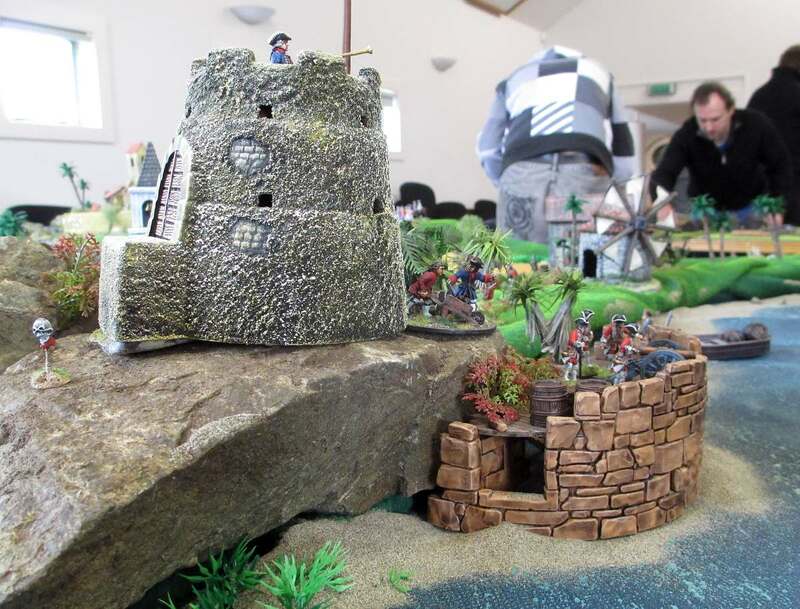 My particular interest, of course, is that the miniature army of my ‘imagi-nation’, the Barryat of Lyndonia, is made up of the various units that appear in the movie, including Gale’s Regiment of Foot, the Régiment de Royal-Cravates, and the ‘Kubrick’ Infanterie Regiment. 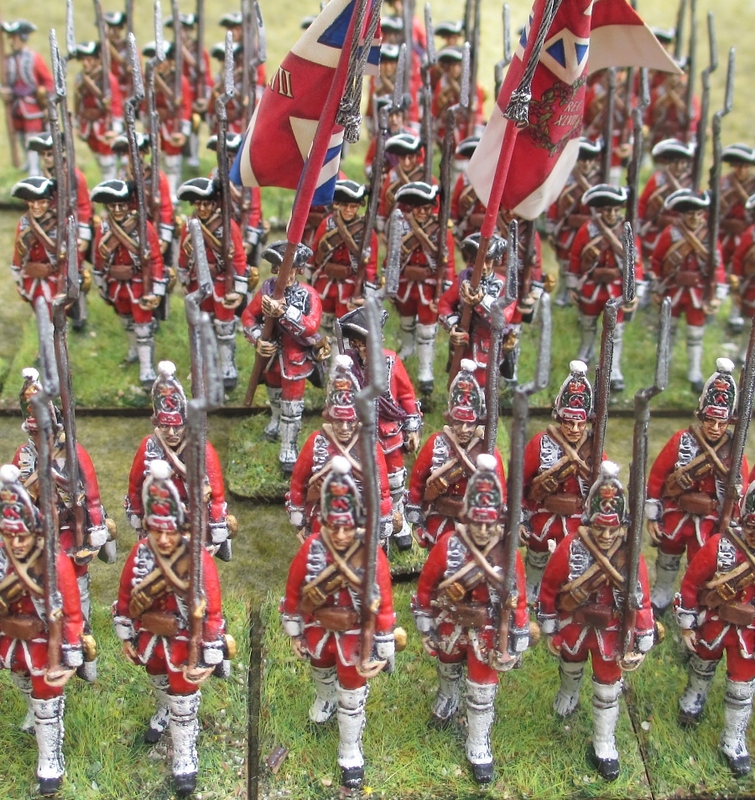 The British contingent of the army of the Barryat of Lyndonia: Gale’s Regiment of Foot (28mm Minden Miniatures figures, GMB flags). 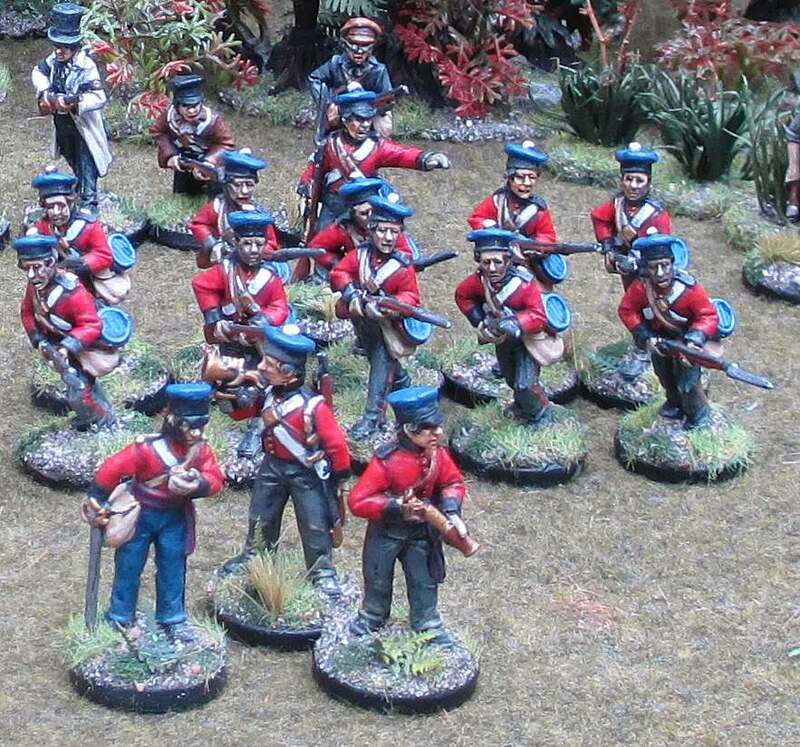 The French contingent of the army of the Barryat of Lyndonia: the Régiment de Royal-Cravates (28mm Minden Miniatures figures, GMB flags). 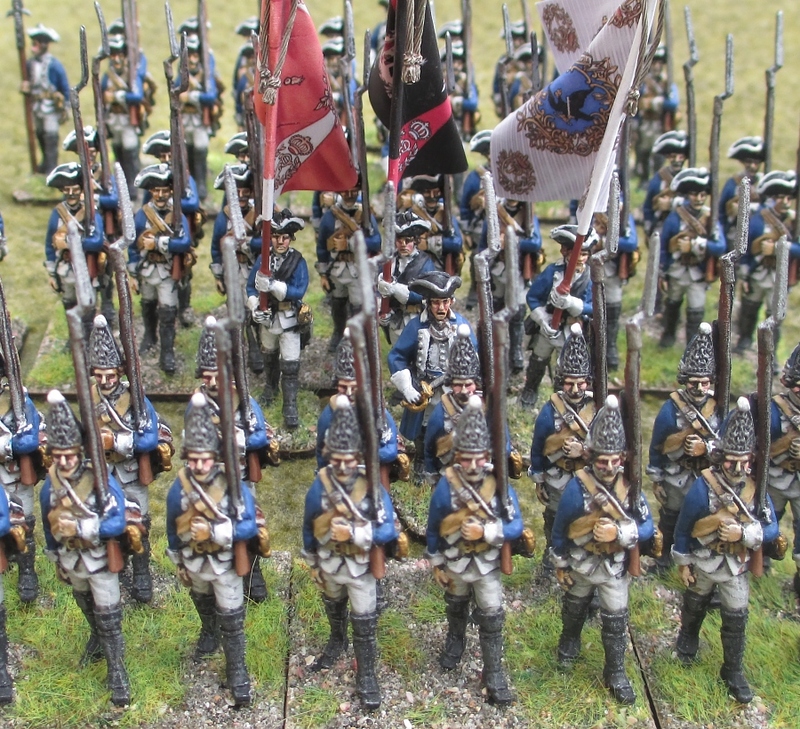 The Prussian contingent of the army of the Barryat of Lyndonia: the ‘Kubrick’ Infanterie Regiment (28mm Minden Miniatures figures, GMB flags). 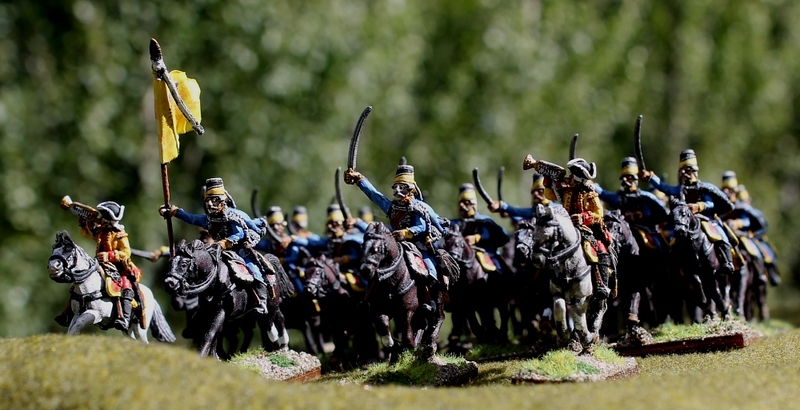 Looking somewhat Toytown-ish in their blue, yellow and red uniforms, a new regiment of hussars has just joined the army of my wargaming ‘imagi-nation’ (imaginary nation), the Barryat of Lyndonia. 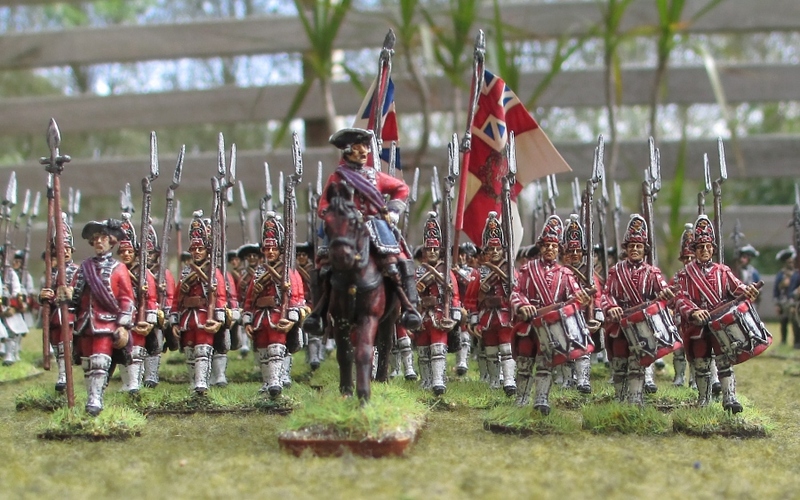 After I bought these wonderful Minden Miniatures French hussars last year, I ummed and ahhed as to which French regiment to paint them as. 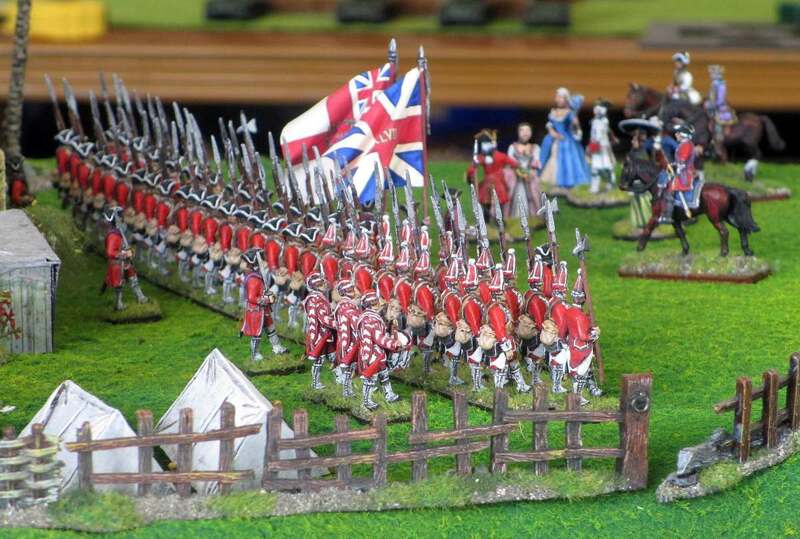 Although my army is imaginary, I like each unit to match a real-life regiment from any of the warring nations of the mid-18th century. 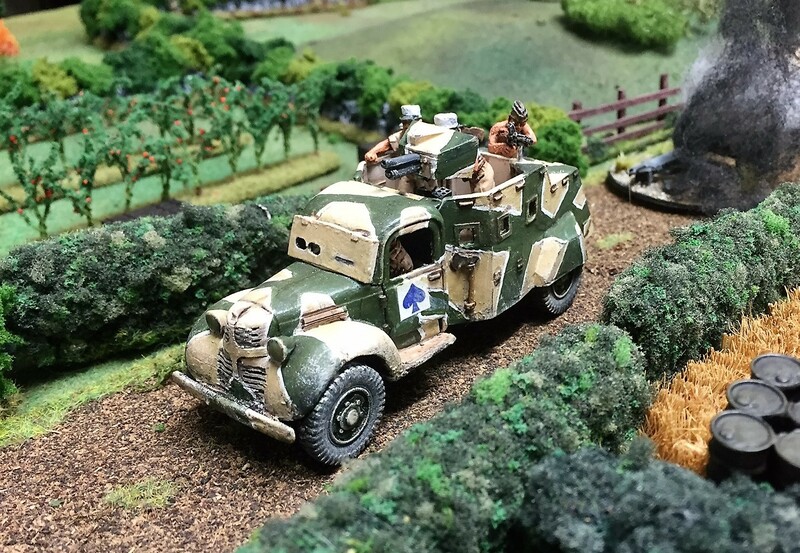 So, were they going to be France’s famous Bercheny Hussars? Or perhaps those cut-throat rogues, the Chasseurs de Fischer? 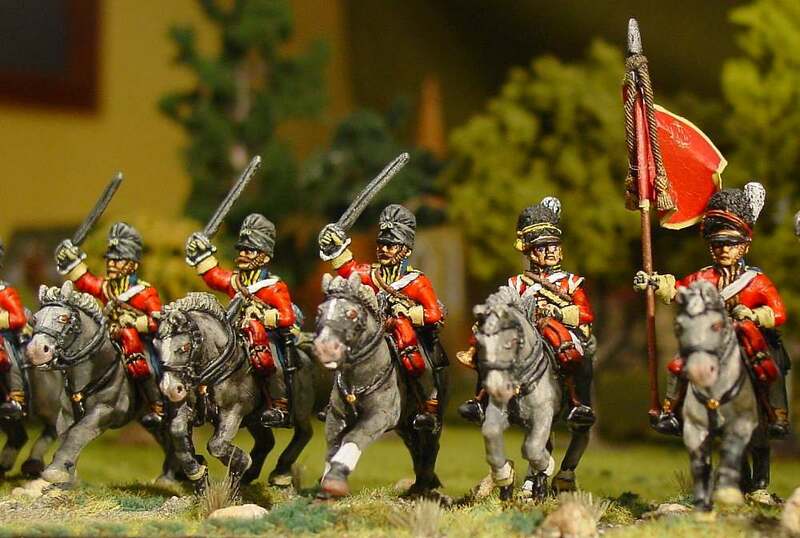 I just couldn’t decide … until the decision was made for me when I found out that the French army had a hussar regiment named the Aspremont-Lynden Hussars. 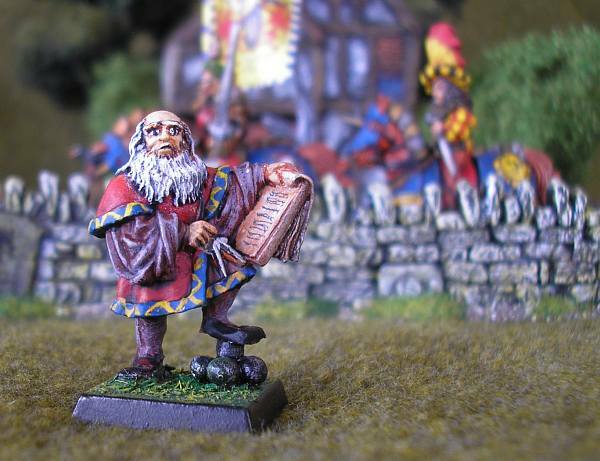 How could the Barryat of Lyndonia possibly not include this unit in its army?! 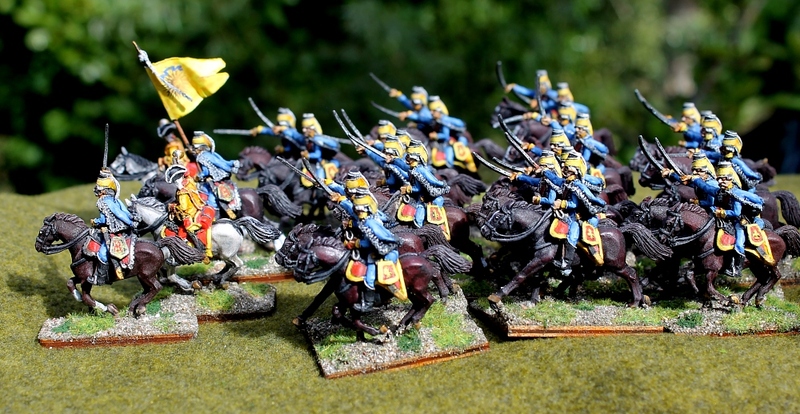 The standard French light-blue hussar uniform would look striking in my army, especially with the colourful yellow facings and red horse furniture. I painted the horses using oil paints, which give a lovely depth of colour, and a sheen that makes them look lifelike. 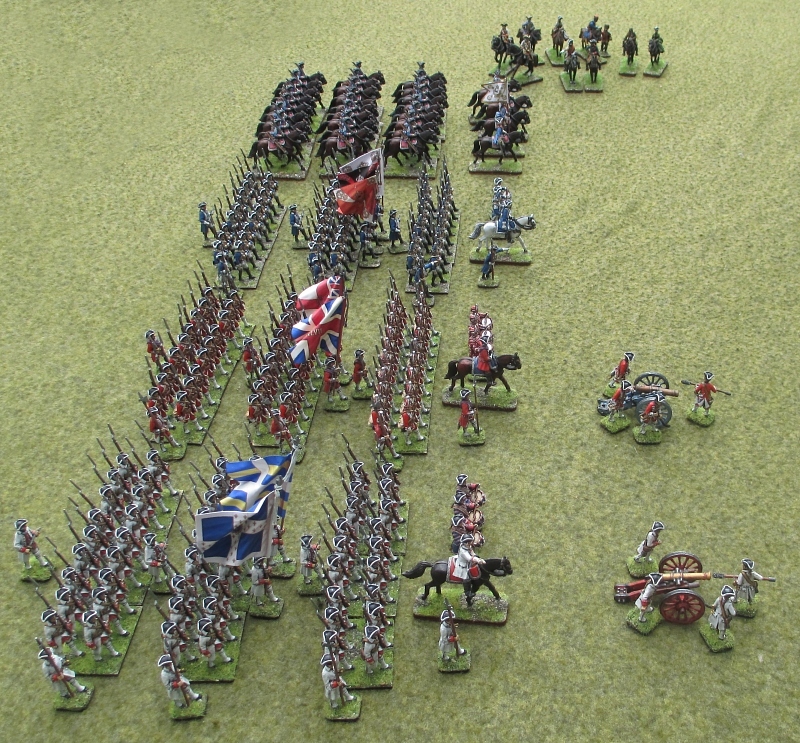 The regiment consists of 24 troopers, two trumpeters, a standard-bearer (yes, I know hussars didn’t carry standards into battle, but this is an imaginary nation, remember! 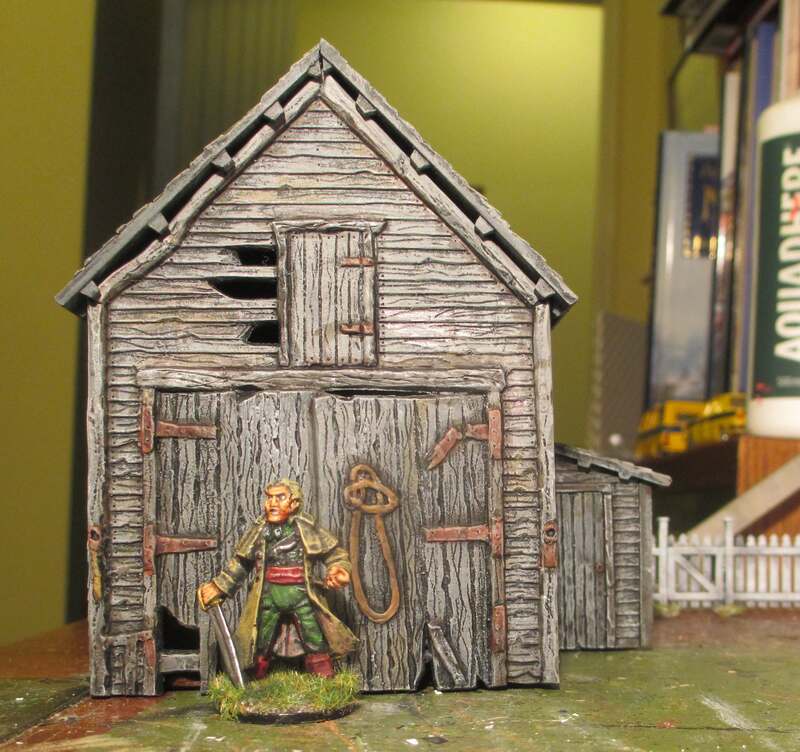 ), and an officer. 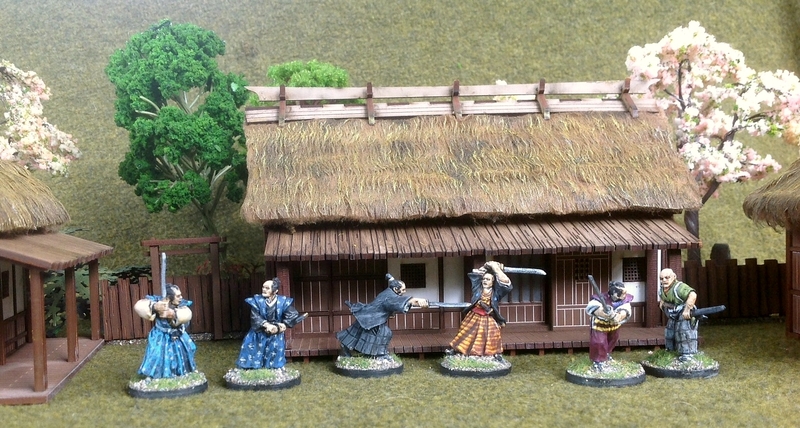 They’re not based for any particular set of wargaming rules. One problem was that I couldn’t find any information on the colour of the Lynden trumpeters’ uniforms. As French trumpeters often wore the livery of their regiment’s owner, I decided to paint them in yellow and red to mach the heraldic arms of the real-life Aspremont-Lynden family. 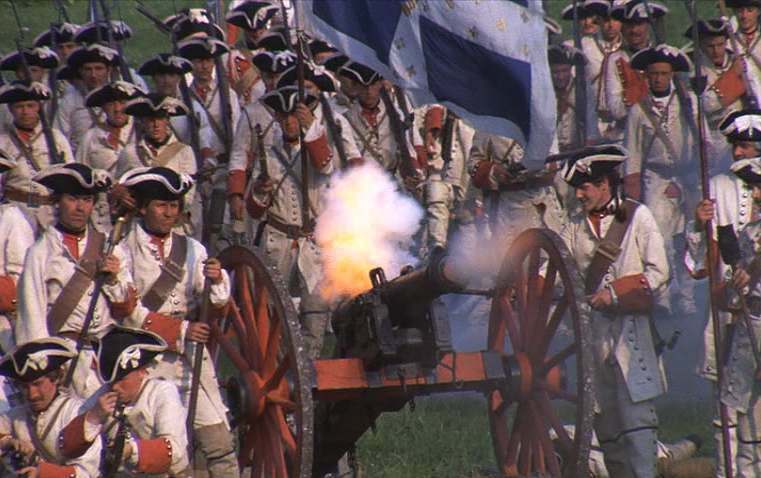 By the way, in case you’re wondering, my imagi-nation is named after the Stanley Kubrick movie Barry Lyndon. 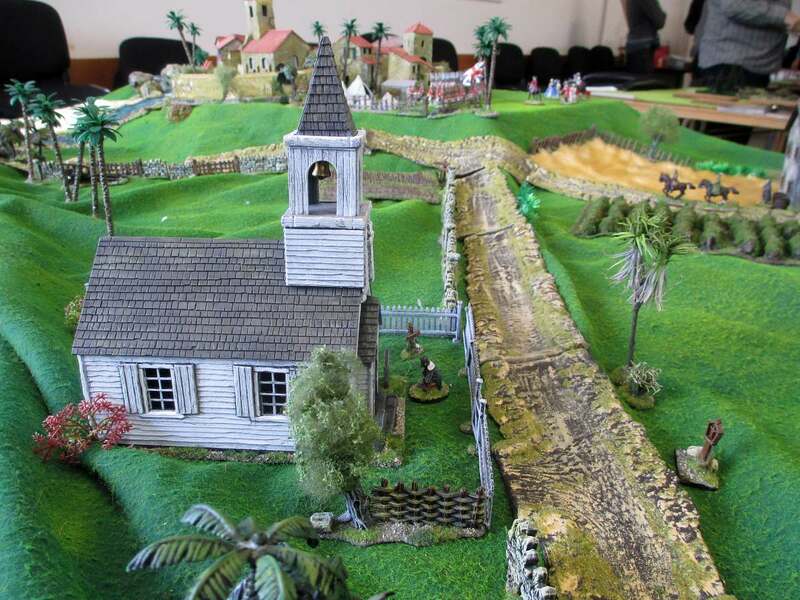 And whilst the Barryat of Lyndonia might sound a weird name for a country, it’s no worse than the the real-life Banat of Temesvár, part of the Austro-Hungarian empire! 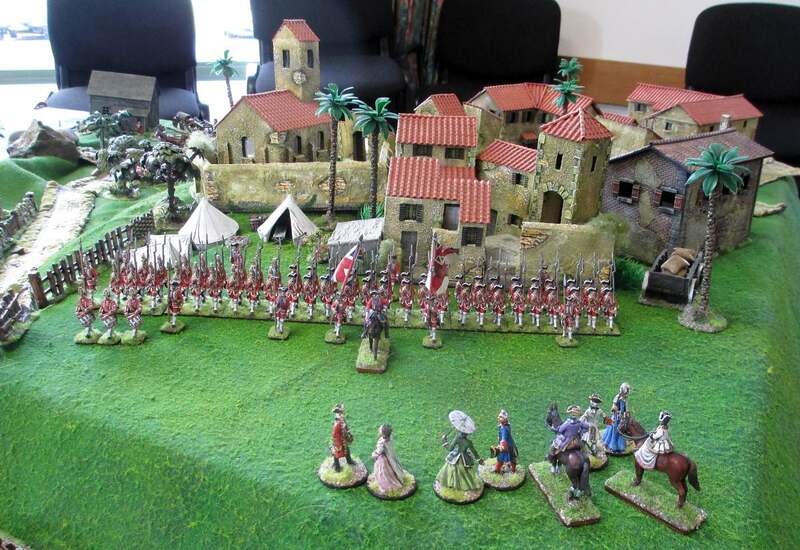 After a rather long hiatus in my painting activities, caused by not being able to recreate the sheer euphoria of painting figures for the WW1 Chunuk Bair diorama during the first half of the year, I’m now finally back in the saddle again, as it were. 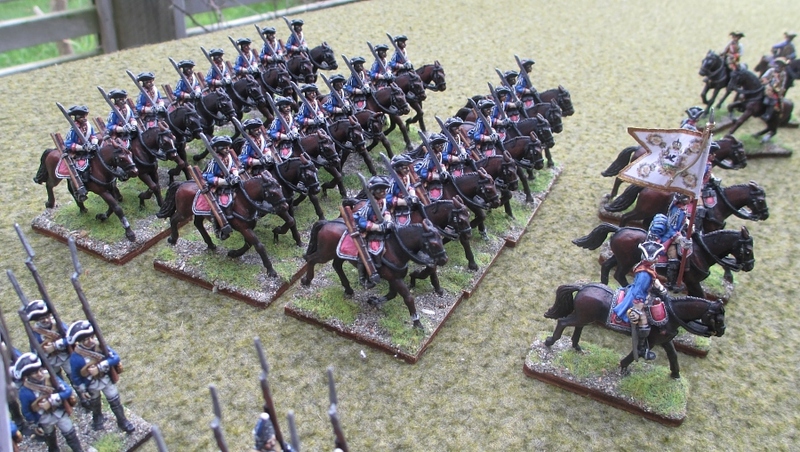 I’m working on a large unit of 28 Minden Miniatures French hussars to accompany my imaginary Barryat of Lyndonia army. To fill in those who don’t know about the Barrayat of Lyndonia (ie nearly everybody in the world! 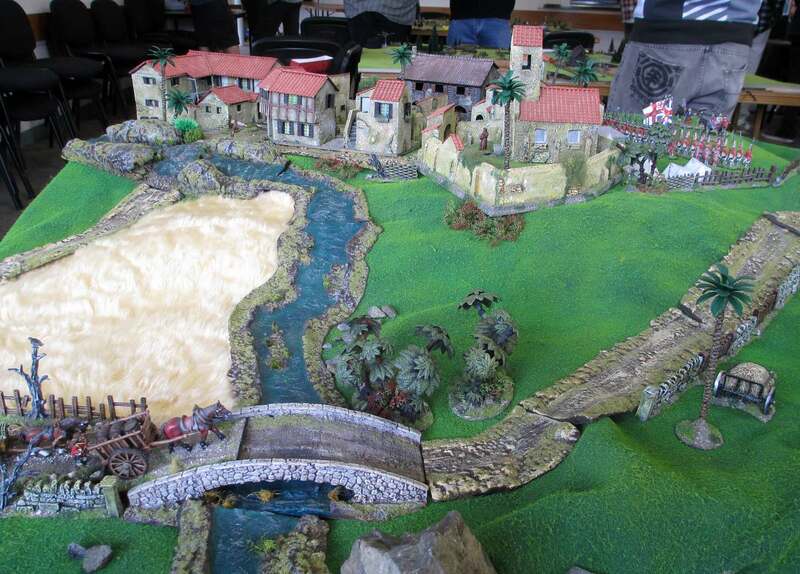 ), it is an imaginary nation – or ‘imagi-nation’ – I’ve created for my wargaming army, based on the Stanley Kubrick movie, Barry Lyndon. 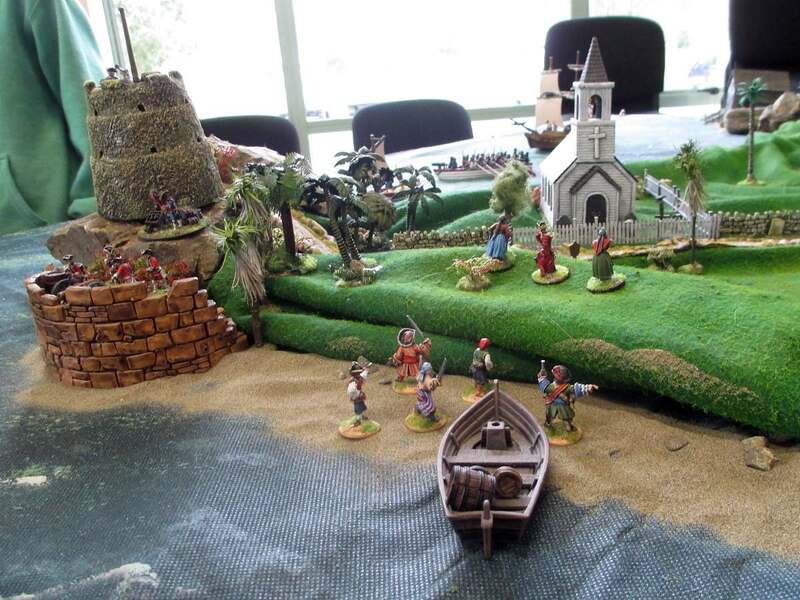 Here’s my painting board. 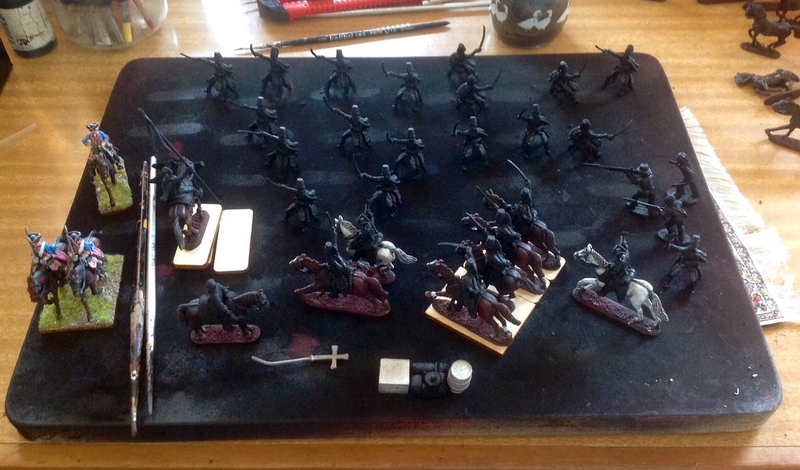 So far, the hussar riders have been undercoated in black, and are just being tested for how they’ll fit alongside each other when their horses are attached in pairs on pre-cut bases. 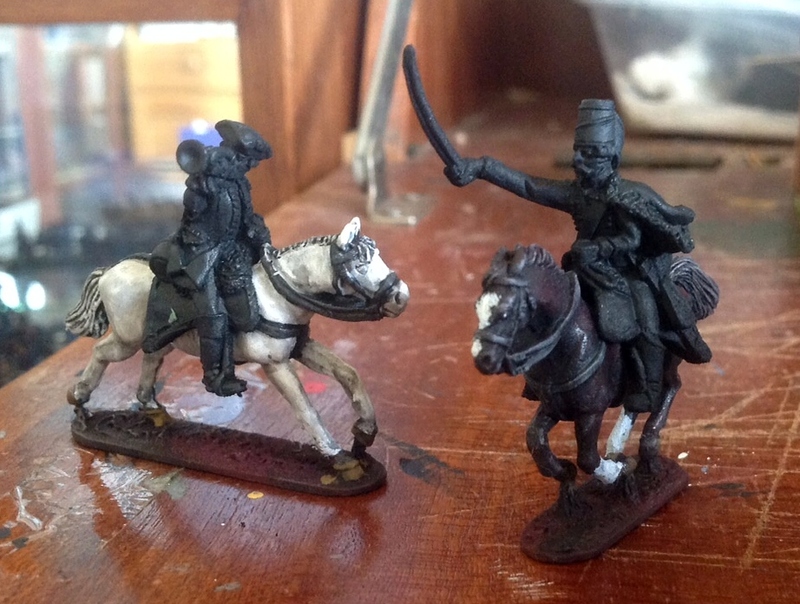 You might be able to see that I’ve also converted one officer to hold a standard – hussars didn’t normally carry standards, but, hey, this is an imaginary army! 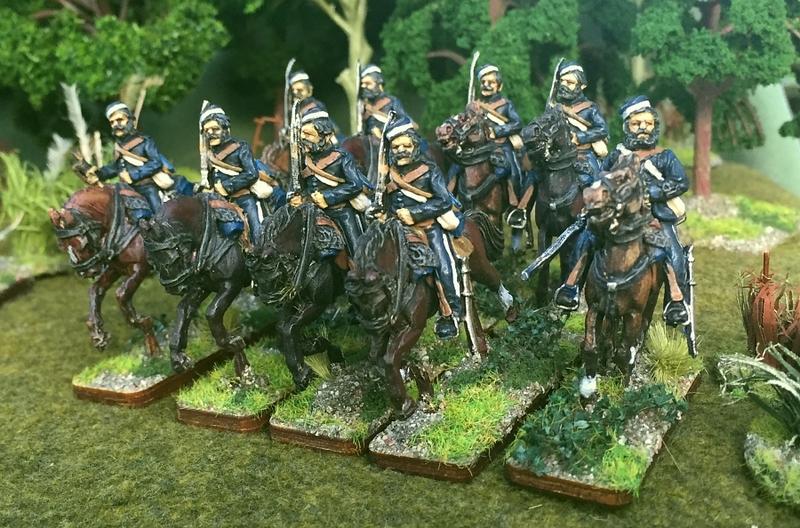 Also visible in the above picture are a couple of my previously completed Prussian dragoons, and various small items I’ll paint at the same time as the hussars, such as a Minden French general and some Brigade sailors, as well as a few miscellaneous bits of baggage. 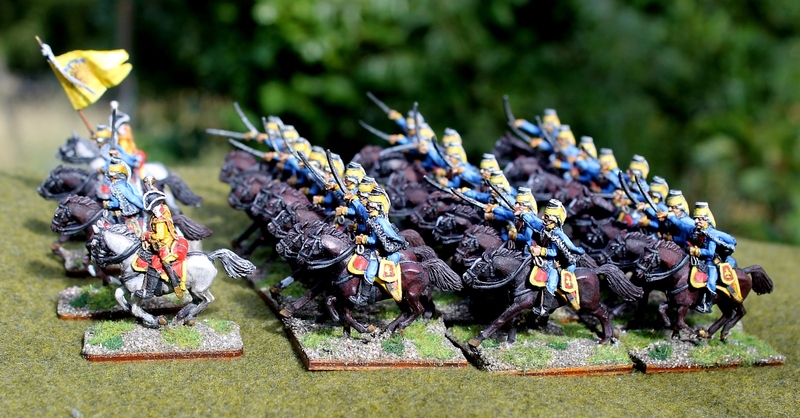 A few of the wonderfully energetic galloping Minden horses, showing the results of my oil-based horse-painting technique. 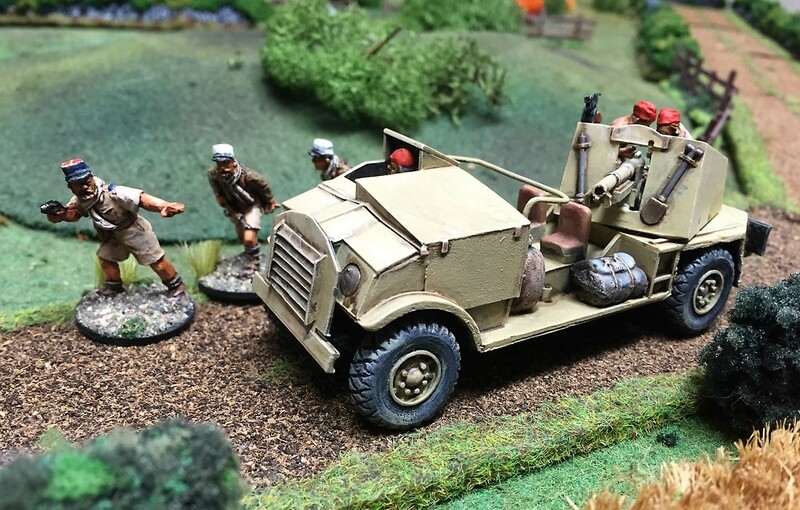 This entails spray-painting the horses with rust-coloured car primer, then painting on black or burnt sienna oil paint, and immediately rubbing it off again with a tissue so the rust primer shows through – quick and dirty, but effective! 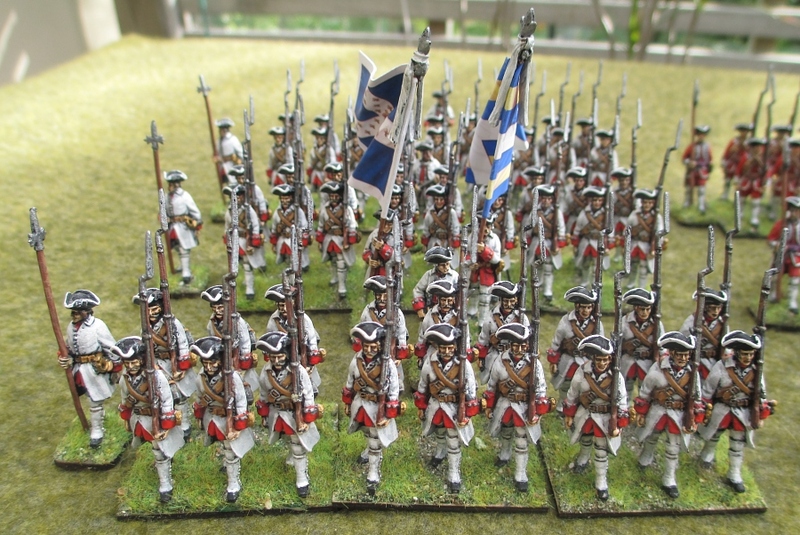 Now, the big question, which I still haven’t answered for myself, is which French hussar unit I’ll paint these up as? At the moment I have the following two options in mind. 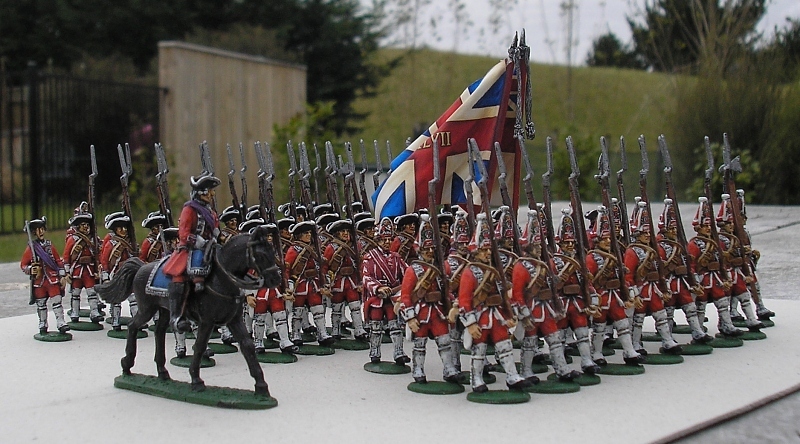 The Régiment des Hussards de Bercheny was one of the regular hussar units of the Ancien Regime. 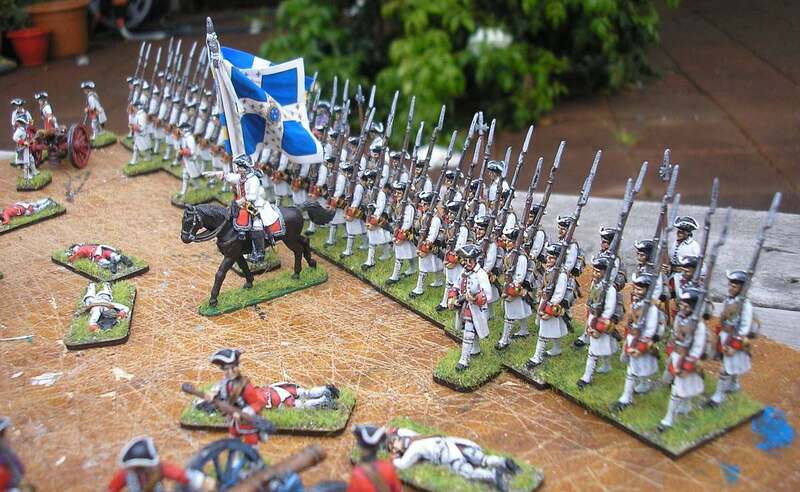 Like the other French hussar regiments, they were clothed in light-blue. Their distinctive colour was red, as can be seen in this anonymous painting Le régiment des hussards de Bercheny en marche, vers 1752-1763 [Photo (C) Paris – Musée de l’Armée, Dist. RMN-Grand Palais / image musée de l’Armée]. You can also see that the Bercheny trumpeters were dressed in brown coats with green turnbacks. These aren’t mine! 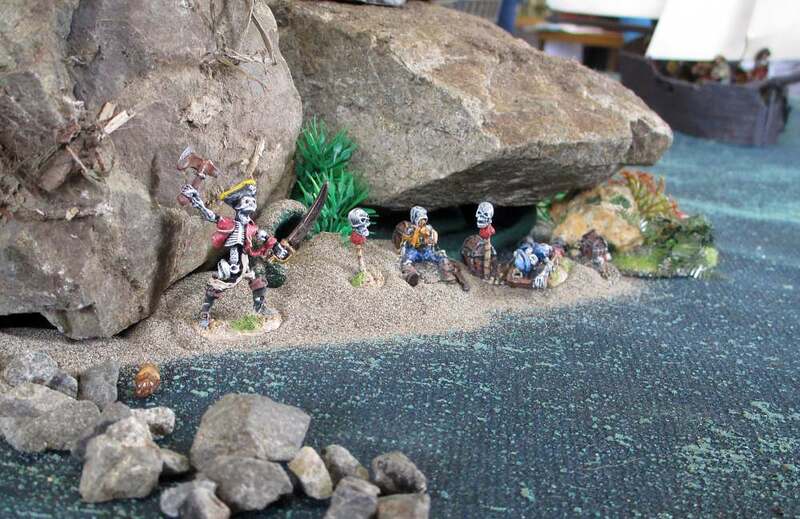 This picture is only to show the look I would strive for with my painting of these figures. 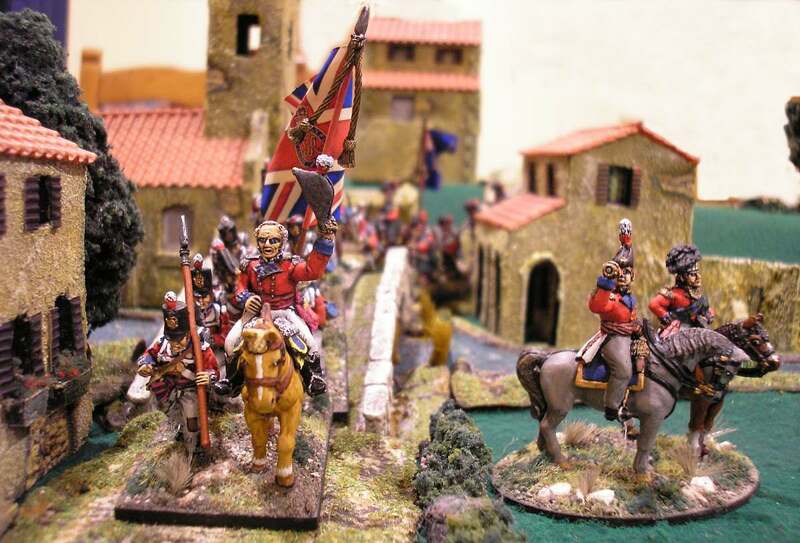 These Bercheny Hussars were painted by noted British wargamer and author, Charles S. Grant, the picture coming from Jim Purky’s Der Alte Fritz Journal blog. 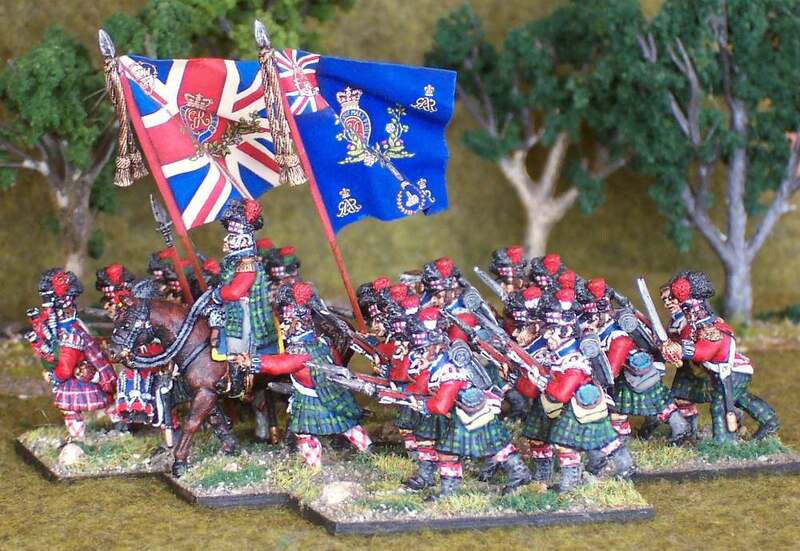 I like this colour scheme, one of the nicest of the regular French hussar regiments. 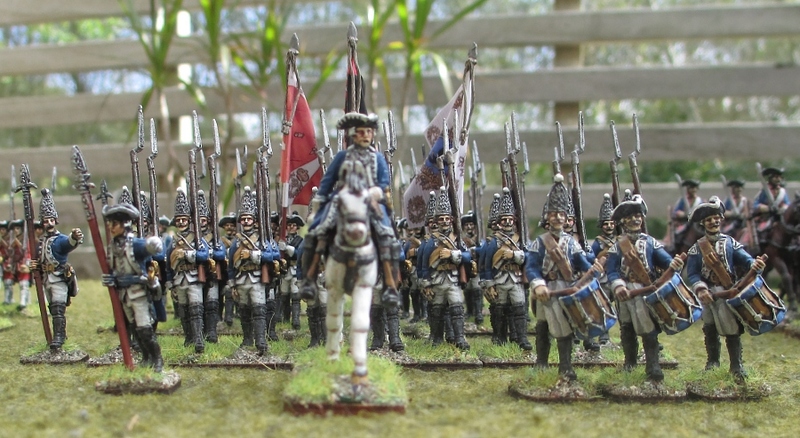 However, the standard French hussar light-blue is coincidentally also the colour I painted my one other cavalry regiment for the Barryat of Lyndonia, the Prussian Truchseß dragoon regiment. 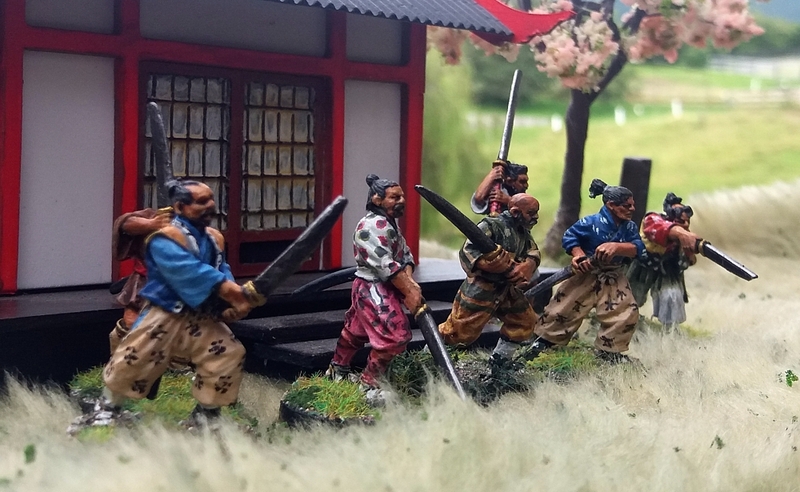 Ideally I would like some more variety in my imaginary army. 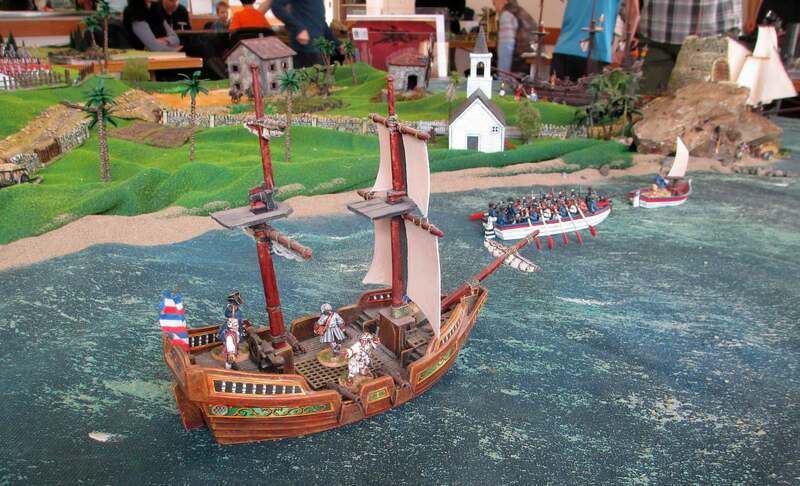 The Chasseurs de Fischer were a volunteer corps of both foot and cavalry, established in 1743 by a former officer’s valet who made a reputation for himself guiding other valets in and out of the islands of the Moldau River. 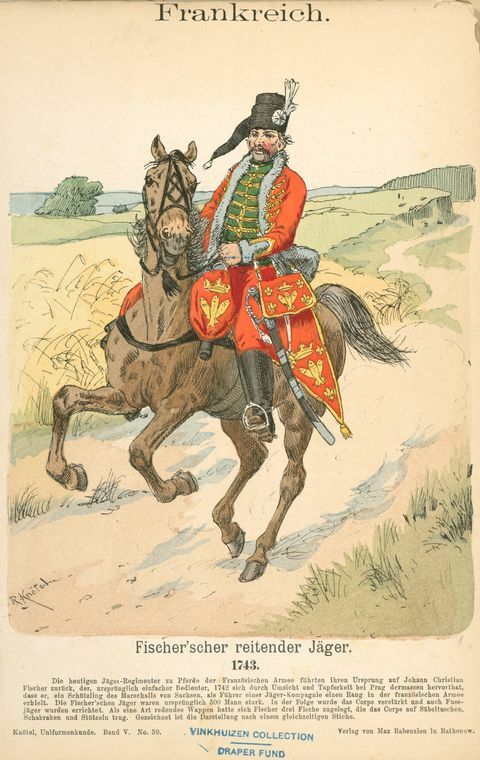 I really like their uniform of green and red, as depicted in this great old print of one of the mounted chasseurs, entitled Frankreich. Fischer’scher reitender Jäger. 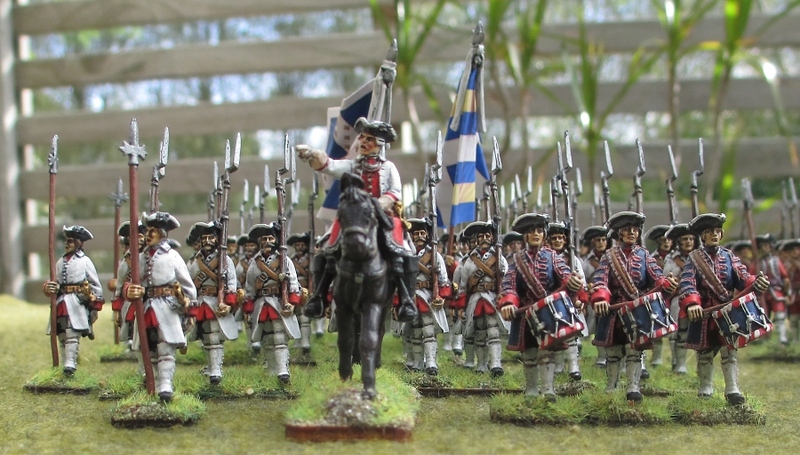 1743 (French Fischer’s mounted chasseur) by Richard Knötel. 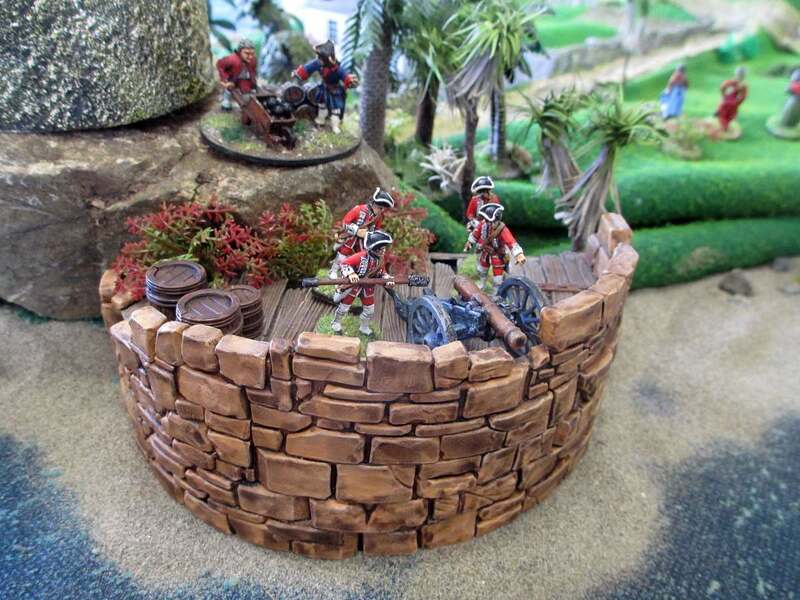 Here are some exquisitely painted flats from Crogges’s My Seven Years’ War blog from Germany. Though in my case would prefer the shabraque (horse cloth) to be red rather than green, more like the Richard Knötel picture above. 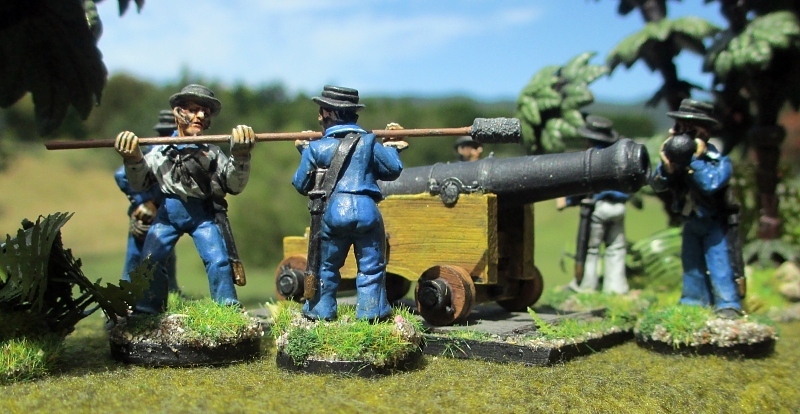 The Minden figures are also cast with the fleur-de-lis insignia on their sabretaches (bags), whereas the Chasseurs de Fischer had a device with three crossed fish – but maybe at this scale that won’t show too much. 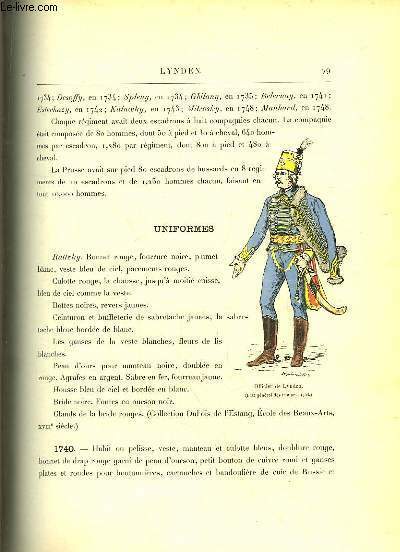 This is also the only picture I’ve been able to find that shows the uniform of a Fischer trumpeter (French hussar trumpeters wore entirely different uniforms from the rest of the unit). 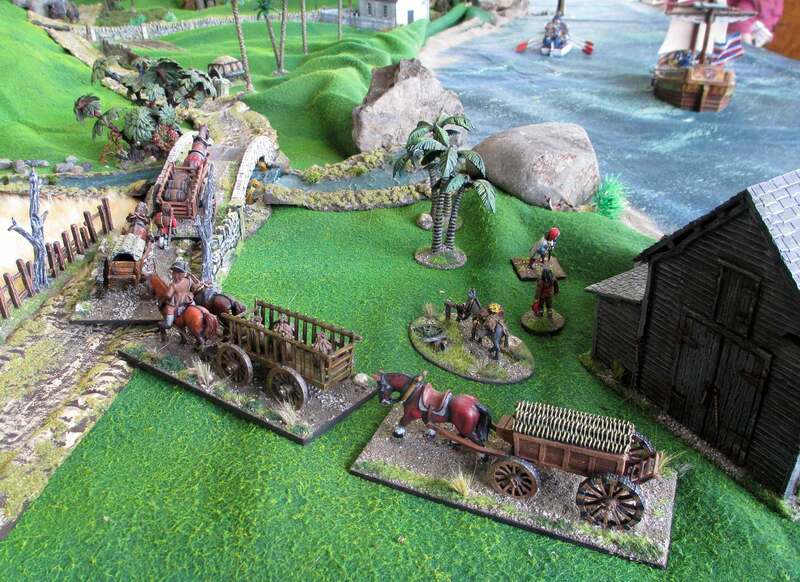 This photo shows my entire 18th century Austrian army. 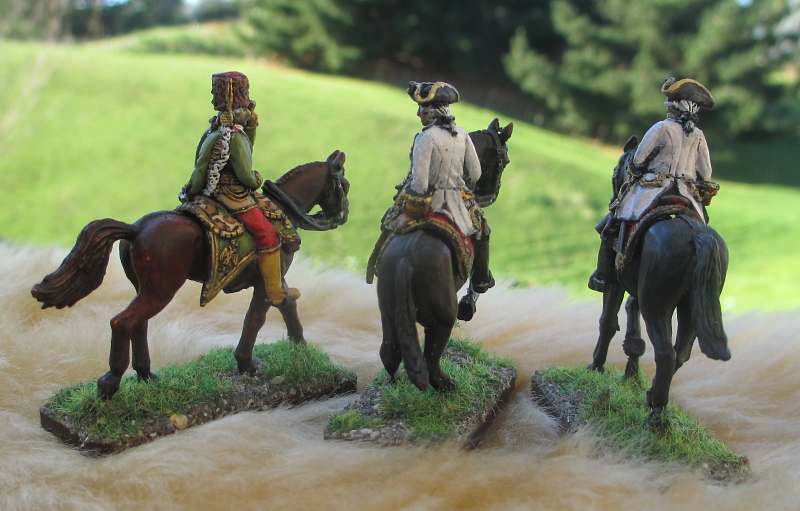 Yep, these three generals are my Austrian army – all of it! 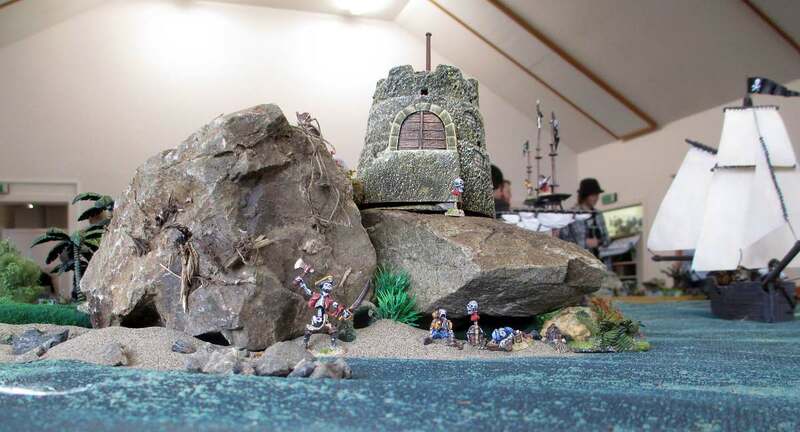 There is not one solitary Austrian infantryman or cavalry trooper amongst my miniature armies for them to command. 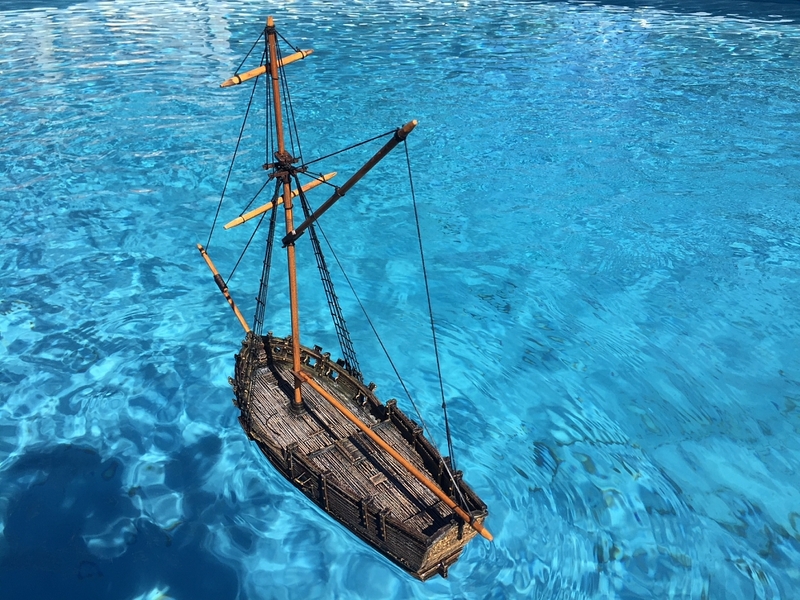 Yet I have these three – so what’s the story? 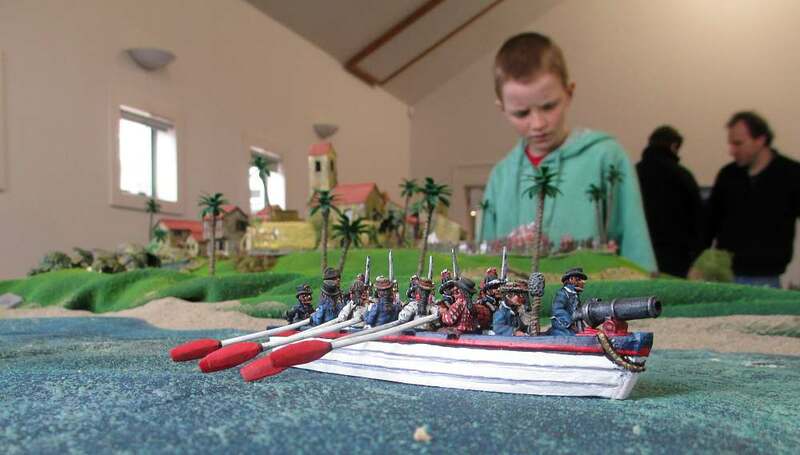 Why I bought these Minden Miniatures figures, I’m not entirely sure. 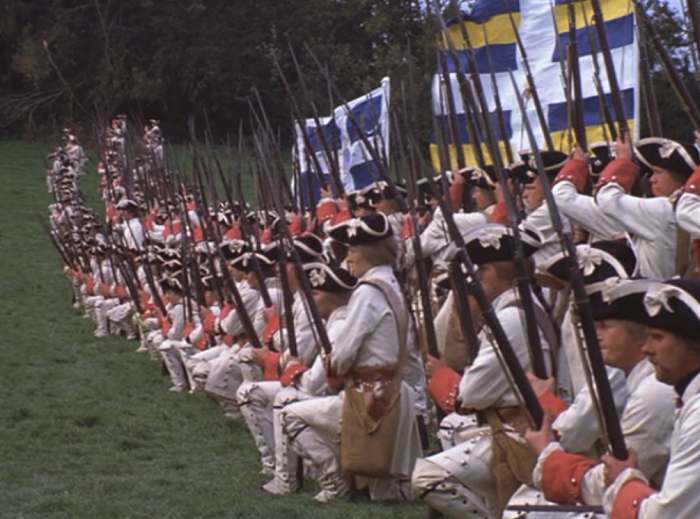 Whilst my ‘Barryat of Lyndonia‘ imagi-nation army is fictional, it is still based on the movie Barry Lyndon, and that movie isn’t exactly known for containing Austrians. 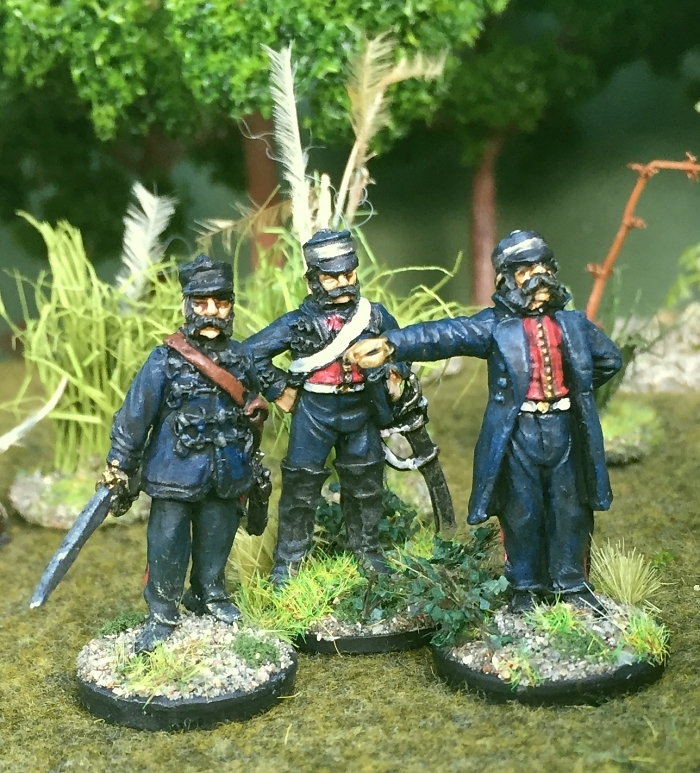 British, yes – French and Prussians too. But Austrians, nary a one. 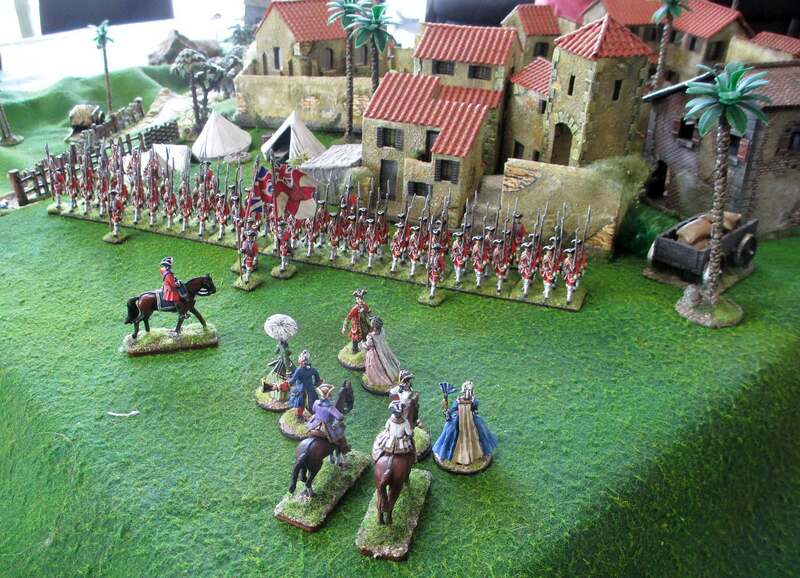 The answer is that Minden Miniatures don’t make any French generals (yet, I hope!). 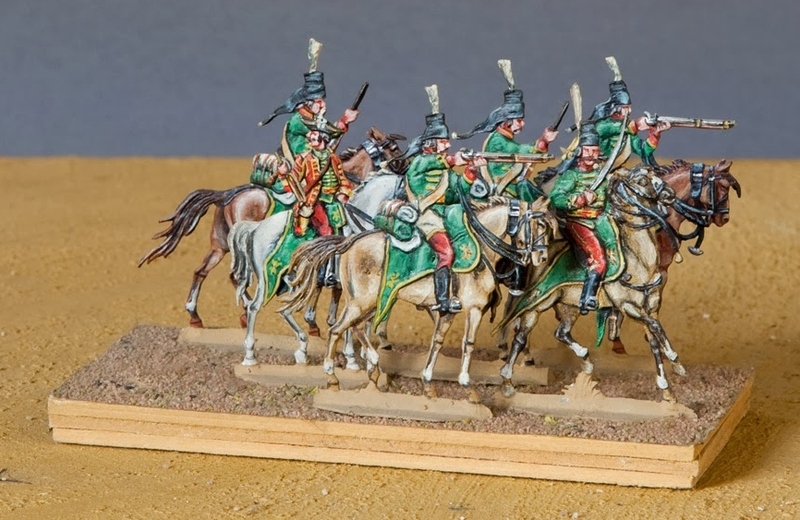 They make a lovely set of Prussian general staff, which I’ve featured in an earlier post. 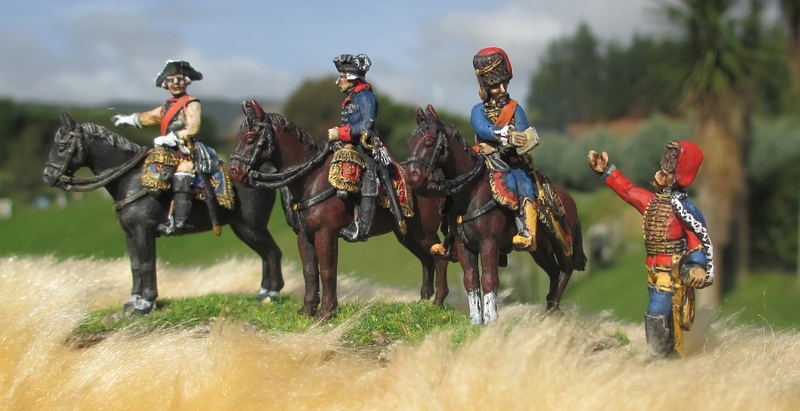 But they have no leaders for their French range to oppose the Prussians – only Austrians. 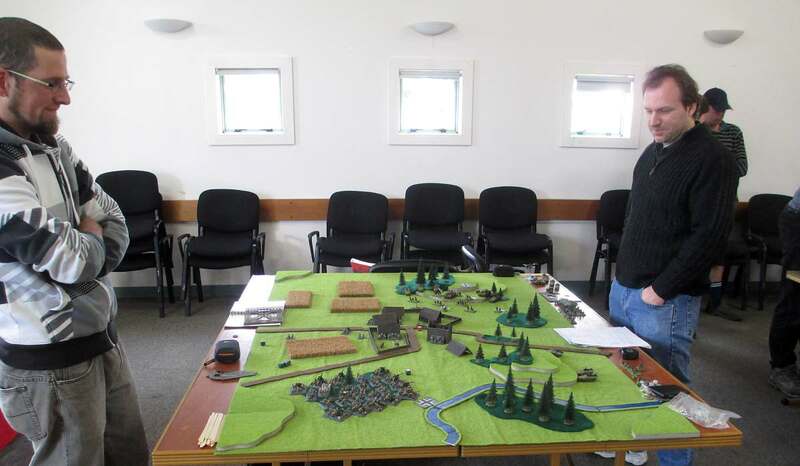 So, that means if I want some leadership on hand should I wish to split my Barryat army into two halves to fight each other for a game, Austrian generals it’ll have to be. 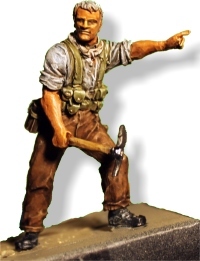 Of course, I could’ve gone for another maker, of whom plenty make French general staff figures. 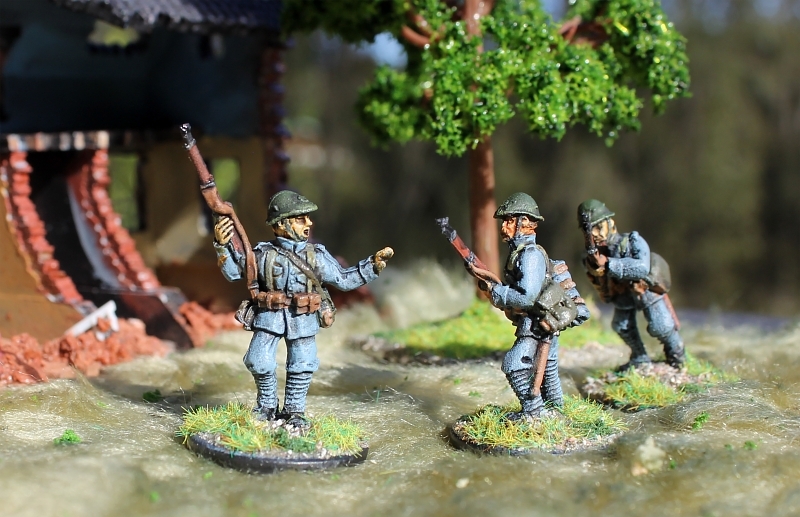 But Minden Miniatures are so individual, being true 1/56th scale replicas of the human anatomical proportions, rather than the more caricatured (albeit charming) look of most other 28mm/30mm ranges. 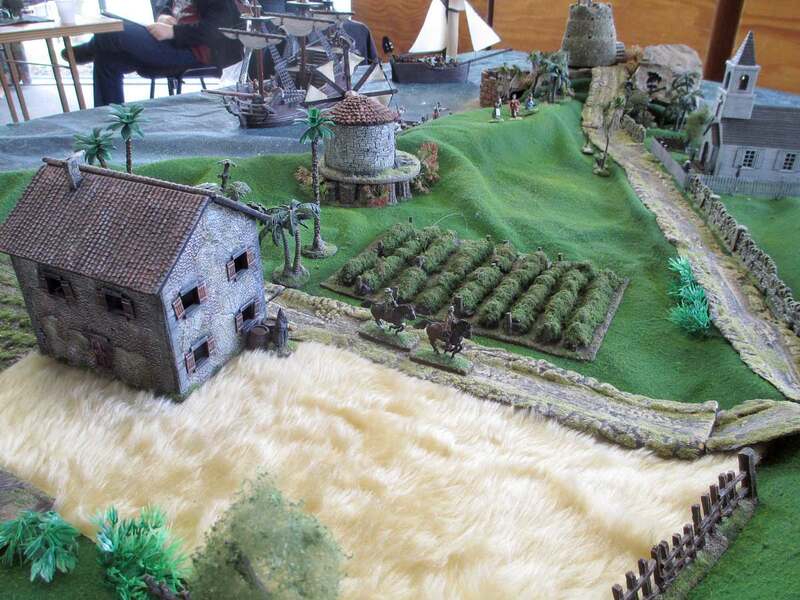 Don’t get me wrong, I love other makes – after all, I own and treasure entire armies of them. 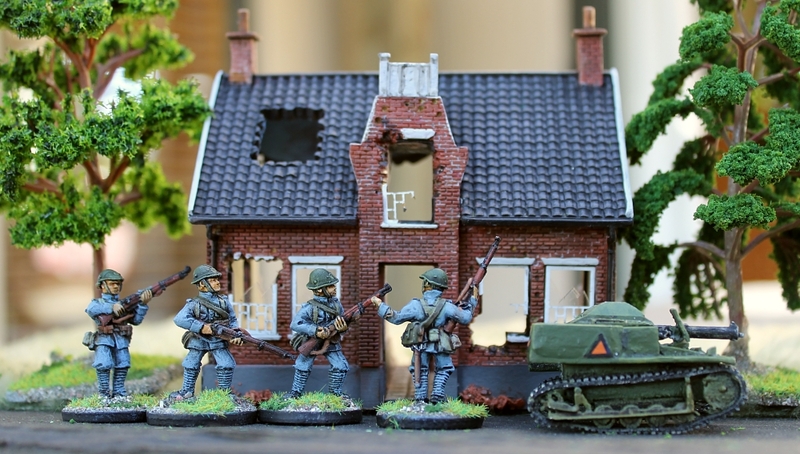 But for me, no other makers’ figures match in with Minden figures. 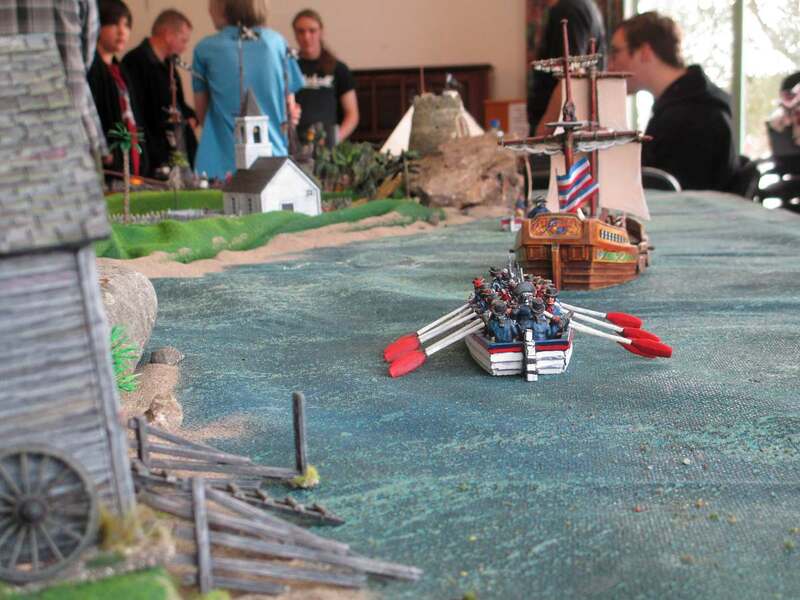 So for this particular part of my collection, it has to all be Minden or nothing.